With the trade deadline looming and the Reds being rumored to be in the mix for making some deals, I’ve been thinking about what I’d like to see them do. Not so much as to which players are dealt and which ones are coming back, but more so, what is the plan and intent behind the deals that they might make. 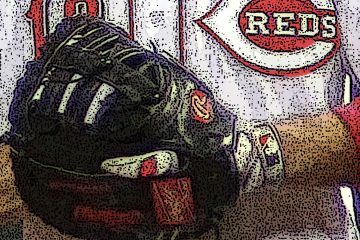 My hope is that the Reds are able to complete some deals that will exhibit to their fan base that they have finally made some of the tough player personnel decisions that are needed to sort out the talent on hand, strengthen areas of need, and clear space for top level prospects to contribute. The Reds will need to move off of their apparent stand pat and sooner or later things will sort themselves out eventually approach. They need to show the fan base that they are being more aggressive in pursuing the pieces they need and do not appear to be sitting on their hands waiting for the deals to come to them. Hopefully the next few weeks will be both interesting and enlightening for Reds fans. 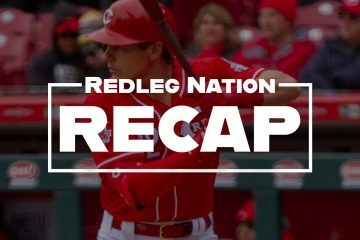 This could, and probably should, be the time in which the Reds place the cherry on top of the rebuild by molding the interesting group of talent on hand into a team with a winning record next season. Now let’s see what is going on down on the farm. The Bats have a 35 – 50 record and in 4th out of 4 in the International League West. International League hitters are hitting .252/.323/.389/.712. IF/OF Brandon Dixon, .326/.368/.525/.893, is tied for 2nd on the team with 14 2B. The 26 year old is tied for 2nd on the club with 8 SB. OF Phil Ervin, .288/.373/.473/.845, leads the club with 3 3B. The 25 year old also leads the team with 9 SB. IF/OF Steve Selsky, .272/.349/.473/.823, is 2nd on the club with 8 HR. The 28 year old has played 29 G at 1B, 14 G at DH, and 5 G in the OF for the Bats this season. RF Gabriel Guerrero, .287/.332/.440/.772, is 3rd on the team with 31 R. The 24 year old hit .296/.336/.469/.806 in 107 PA at Pensacola to begin the season. International League pitchers have a 3.83 ERA. RH SP Bob Stephenson, 3.35 ERA, has tossed 86 IP allowing 64 H and 45 BB with 109 SO. The 25 year old has allowed 6.7 H/9, 4.7 BB/9, and 11.4 SO/9. RH SP Keury Mella, 3.07 ERA, tossed 5 IP allowing 4 H and 2 BB with 4 SO in his first start for the Bats this season. The 24 year old put up a 3.07 ERA in 85 IP allowing 70 H and 31 BB with 87 SO at AA Pensacola before his promotion to the Bats. RH RP Kevin Quackenbush, 0.34 ERA, has tossed 26.2 IP allowing 21 H and 2 BB with 32 SO. The 29 year old has recorded 13 SV. RH RP Jimmy Herget, 3.38 ERA, has tossed 37.1 IP allowing 35 H and 18 BB with 40 SO. The 24 year old has 9.6 SO/9. Southern League hitters are hitting .248/.326/.385/.711. 3B/1B Mitch Nay, .262/.404/.619/1.023 in 52 PA, has 4 HR since joining the Blue Wahoos. The 24 year was hitting .271/.342/.418/.760 in 281 PA at A+ Daytona before his promotion. LF Narciso Crook, .313/.366/.484/.851 in 72 PA, has hit 2 HR since joining Pensacola. The 22 year old was hitting .208/.296/.354/.650 in 54 PA at A+ and .263/.337/.525/.862 in 92 PA at A before his promotion. OF/1B Brian O’Grady, .260/.354/.474/.828, is tied for the team lead with 4 3B. The 26 year old LH hitter is 3rd on the team with 26 BB. OF T. J. Friedl, .313/.418/.403/.821 in 79 PA, is already 3rd on the team with 7 SB. The 22 year LH hitter was hitting .294/.405/.412/.817 in 274 PA at A+ Daytona before his promotion. 2B Shed Long, .261/.354/.428/.781, leads the team with 51 R, 36 RBI, and 13 SB. The 22 year old LH hitter is also tied for the team lead with 14 2B. Southern League pitchers have a 3.93 ERA. RH SP Tony Santillan, 1.50 ERA, threw 6 IP allowing 7 H and 1 BB with 5 SO in his first start for Pensacola. The 21 year old put up a 2.70 ERA in 86.2 IP allowing 81 H and 22 BB with 73 SO at A+ Daytona before joining the Blue Wahoos. LH RP Seth Varner, 2.43 ERA in 15 G/7 GS, has thrown 59.1 IP allowing 45 H and 14 BB with 57 SO. The 26 year has a 0.99 WHIP. RH RP Alex Powers, 2.70 ERA, has tossed 26.2 IP allowing 18 H and 6 BB with 32 SO. The 26 year old has recorded 9 S with a 0.90 WHIP. The Tortugas have a 48 – 37 record and are 1st out of 6 in the Florida State League North. They have qualified for the Playoffs by being the First Half Division winners. Florida State League hitters are hitting .251/.322/.368/.690. 1B Ibandel Isabel, .250/.336/.542/.879, leads teh team with 19 HR and 86 SO. The 23 year old also leads the club with 46 RBI. OF Taylor Trammell .301/.397/.430/.828, is 3rd on the team lead with 6 HR. The 20 year LH hitter leads the team with 52 R, 4 3B, 16 SB, and 40 BB. C Tyler Stephenson, .272/.354/.435/.789, is 2nd on the team with 8 HR. The 21 year old is also 2nd on the team with 14 2B. 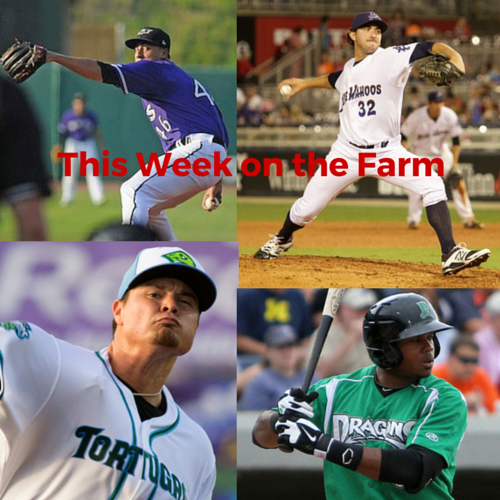 OF Daniel Sweet, .273/.362/.414/.776, is back with the Tortugas after a short lived promotion to AA. The 23 year old switch hitter hit .143/.286/.186/.471 in 85 PA at Pensacola. 2B/OF Randy Ventura, .333/.397/.379/.776 in 73 PA, has played well since his promotion from A Dayton. The 20 year old switch hitter hit .188/.188/.188/.375 in 32 PA at Dayton. Florida State League pitchers have a 3.74 ERA. RH SP Andrew Jordan, 1.50 ERA, went 6 IP allowing 3 H and 2 BB with 4 SO in his first start since joining the Tortugas. The 20 year old put up a 3.83 ERA in 54 IP allowing 55 H and 17 BB with 34 SO at A Dayton before his promotion. RH SP Tommy Bergjans, 2.83 ERA in 5 GS, has thrown 28.2 IP allowing 24 H and 5 BB with 23 SO. The 25 year old has a 1.01 WHIP. LH SP Scott Moss, 3.61 ERA, has tossed 77.1 IP allowing 78 H and 22 BB with 65 SO. The 23 year old has allowed just 2.6 BB/9. RH RP Ryan Hendrix, 1.26 ERA, has thrown 35.2 IP allowing 24 H and 19 BB with 53 SO. The 23 year has a very good 13.4 SO/9 and has recorded 7 S.
RH RP Joel Kuhnel, 2.83 ERA, has thrown 35 IP allowing 31 H and 6 BB with 40 SO. The 23 year has 11 S.
Midwest League hitters are hitting .253/.328/.379/.707. C Hendrik Clementina, .281/.353/.531/.884, is leads the club lead with 11 HR. The 21 year old leads the team with 39 RBI. OF Malik Collymore, .300/.340/.500/.840 in 53 PA, has had 7 of his 15 H go for extra bases with the Dragons. The 23 year old hit .235/.325/.382/.707 in 77 PA at A+ Daytona before coming to Dayton. OF Lorenzo Cedrola, .333/.360/.458/.818 in 28 PA, has 3 SB in 6 G Dragons. The 20 year old hit .318/.350/.427/.776 in 229 PA at A Greenville before being acquired by the Reds from Boston. 2B/SS Jeter Downs, .268/.349/.433/.782, is 2nd on the club lead with 10 HR. The 19 year old middle infielder leads the team with 48 R, 26 SB, 33 BB, and 20 2B. Midwest League pitchers have a 3.94 ERA. LH SP Packy Naughton, 4.10 ERA, has thrown 98.2 IP allowing 108 H and 20 BB with 85 SO. The 22 year old has allowed 1.8 BB/9. RH SP Hunter Greene, 4.69 ERA, has thrown 63.1 IP allowing 65 H and 20 BB with 80 SO. The 18 year old phenom has 2.8 BB/9 and 11.4 SO/9. RH RP Cory Thompson, 2.27 ERA, has tossed 43.2 IP allowing 42 H and 5 BB with 47 SO. The 23 year old has 4 S and 1.0 BB/9. RH RP Ryan Nutof, 3.09 ERA, has tossed 46.2 IP allowing 52 H and 18 BB with 55 SO. The 22 year old has recorded 2 S for the Dragons. The Mustangs have a 9 – 16 record and are 4th out of 4 in the Pioneer League North. The Pioneer League hitters hit .275/.350/.427/.776. LF Reshard Munroe, .333/.392/.528/.920, is tied for the team lead with 3 HR and 4 SB. The 22 year old LH hitter is tied for 2nd on the team with 5 2B. 2B Dylan Harris, .340/.365/.520/.885, is tied for 2nd the club lead with 1 3B. The 23 year old has 1 BB in 52 PA.
OF/1B Bren Spillane, .235/.394/.451/.845, is tied for 3rd on the club lead with 2 HR. The 21 year old also leads the team with 13 BB and 29 SO. 1B/C Pabel Manzanero, .321/.341/.487/.829, is tied for the team lead with 3 HR. The 22 year old is 2nd on the team with 13 RBI. The Pioneer League average ERA is 4.94. RH SP Jared Solomon, 1.00 ERA, has thrown 27 IP allowing 14 H and 7 BB with 30 SO. The 21 year old has a 0.78 WHIP. RH SP Luis Alecis, 1.74 ERA, has thrown 20.2 IP allowing 11 H and 11 BB with 27 SO. The 21 year old has 11.8 SO/9. RH RP Edward Escoboza, 2.25 ERA, has thrown 12 IP allowing 10 H and 4 BB with 11 SO. The 22 year old has a 1.17 WHIP. The Appalachian League hitters hit .264/.352/.403/.755. 2B/3B Jonathan Willems, .348/.387/.623/1.010, is tied for the club lead with 2 HR. The 19 year old leads the club with 3 3B and 17 RBI. CF Brian Rey, .367/.446/.469/.916, is 2nd on the club with 11 R. The 20 year old leads the team with 5 2B. 1B Rylan Thomas, .216/.383/.514/.896, is tied for the club lead with 3 HR. The 21 year old is tied for the team lead with 10 BB. The Appalachian League average ERA is 4.88. RH SP Josiah Gray, 2.16 ERA, has thrown 16.2 IP allowing 9 H and 3 BB with 16 SO. The 20 year old has a 0.72 WHIP. RH RP Francis Jones, 2.63 ERA, has thrown 13.2 IP allowing 14 H and 5 BB with 16 SO. The 21 year old has 10.5 SO/9. RH RP A.J. Moore, 3.12 ERA, has thrown 8.2 IP allowing 10 H and 7 BB with 9 SO. The 22 year old has 7.3 BB/9. The Reds have a 5 – 13 record and are 6th out of 6 in the AZL Central. The AZL hitters averaged .252/.342/.360/.702. SS Luis Lopez, .308/.413/.436/.849, is tied for 3rd on the team with 1 HR. The 18 year old is 3rd on the club with 5 BB. 2B Danielito Remy, .333/.365/.467/.832, leads the team with 8 2B. The 20 year old has 2 BB in 63 PA. IF Reyny Reyes, .353/.397/.426/.824, leads the team with 24 H. The 19 year old is 2nd on the team with 5 2B. CF Danny Lantigua, .242/.271/.545/.817, leads the team lead with 2 3B. The 19 year old switch hitter also leads the team with 11 R, 4 HR, and 17 RBI. The AZL average ERA is 4.40. RH SP Daniel De La Fuente, 2.50 ERA, has thrown 18 IP allowing 14 H and 12 BB with 13 SO. The 20 year old has 7.0 H/9. RH SP Orlando Noriega, 4.20 ERA, has thrown 15 IP allowing 17 H and 4 BB with 19 SO. The 19 year old has 2.4 BB/9 and 11.4 SO/9. RH RP Marvin Mateo, 0.00 ERA, has thrown 7.2 IP allowing 3 H and 1 BB with 6 SO. The 20 year old has a 0.52 WHIP. The Reds have a 14 – 20 record and are 5th out of 6 in the Dominican Summer League Baseball City. The DSL hitters averaged .237/.342/.337/.679. RF Fidel Castro, .274/.402/.536/.938, leads the team with 6 2B. The 19 year old LH hitter is tied for the team lead with 5 3B and 2 HR. OF Darlin Guzman, .278/.329/.542/.871, is tied for the team lead with 5 3B. The 17 year old LH hitter is also tied for the club lead with 2 HR. 2B Fraudys Jimenez, .289/.373/.378/.750, leads the team with a .289 BA. The 19 year old LH hitter has 4 BB and 5 SO in 51 PA. The DSL average ERA is 4.00. RH SP Allan Beltre, 1.46 ERA, has thrown 24.2 IP allowing 23 H and 5 BB with 16 SO. The 18 year old has 1.8 BB/9. RH SP Raul Hernandez, 1.99 ERA, has thrown 22.2 IP allowing 13 H and 13 BB with 36 SO. The 19 year old has 14.3 SO/9. LH RP Jose Salvador, 2.01 ERA, has thrown 22.1 IP allowing 10 H and 11 BB with 25 SO. The 18 year old has a 0.94 WHIP. Tom, I don’t know if you receive enough “thank you’s” for all the work that you do, but…thank you! Phil Ervin could be very quietly playing his way back into the OF MLB situation. If Adam Duvall is traded, the Reds are going to need another RH outfield bat unless one comes back in a deal. That could create the opportunity for Ervin which is a bit ironic since he is almost exactly the same age now as Duvall was when he came to the Reds and got his chance in the big leagues..
Scott Moss has really turned his season around at Daytona. After a slow start he is 10-2 and has 7 wins in his last 8 starts with 1 no decision. I really hope he closes the year out the way he has pitched recently. Then help lead Daytona to a league championship. I’m not a 40 man roster rule 5 expert, but don’t the Reds need to make some decisuons at AA and AAA.How.many outfielders and 2b and AAAA pitchers can you protect when you have a 25 man youngish mlb roster with good backups in blandino and Herrera and a 4 man outfield rotation? Don’t Tyler Stephenson and Seth Varner and Romero and Santillan and the big HR hitter at high A and other AAA guys become rule 5 eligible and at risk of being plucked? Stuart Turner is back healthy too. Seems like the Reds must trade some guys at the deadline and establish a depth chart.